Seth Grimes’ Sentiment Analysis Symposium, held this week in New York City, proved again to be the place for miners of data gold. But presentations on bots, voice and emotion suggested something bigger. Human analytics, anyone? Playmaker chief Alan Kelly helped stretch the agenda with his talk, Beyond Sentiment: Mining for Strategy and Motive. To the attending marketing and AI experts, he previewed ChopTalk beta, a first-of-its-kind analytics engine that moves us past the words of market players, which are public, to their strategies, which are secret. Shown is one example: A 13-quarter earnings call analysis of the plays beneath the prose of Apple CEO Tim Cook. Those aren’t sentiment scores. They’re measures of actual strategies — an industry-first — that reveal the unique style and signature of this facile and rhetorically nimble executive. 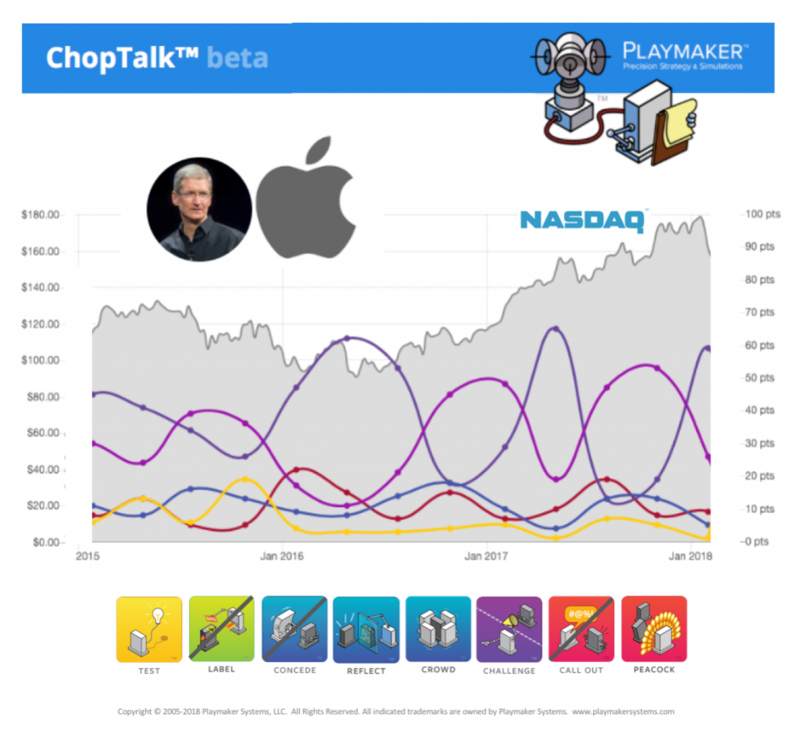 Stay tuned for more on ChopTalk beta and how Playmaker is pioneering the intersection of artificial intelligence and influence.